Terry Austin eyes his opponent across the chessboard, then deftly captures his knight. A few moves later, opponent Ed Rataj admits defeat. The two play in the communal living area at Biddle House, a shelter for people who are homeless near downtown St. Louis. Austin is a resident. The Biddle House chess club began in 2016, the same year the shelter opened. 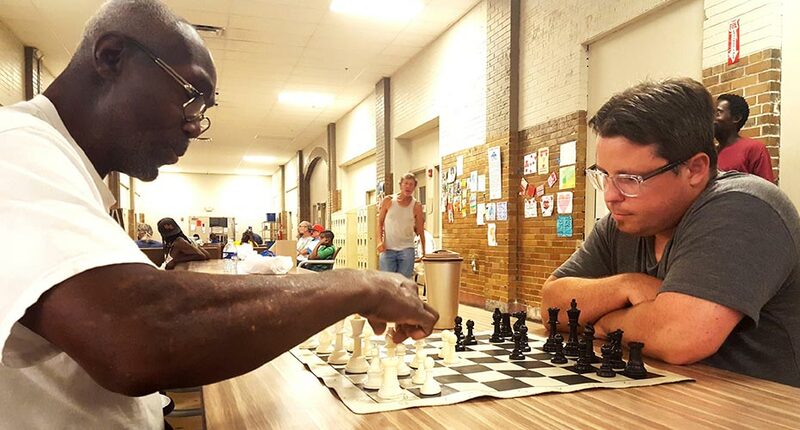 Twice a week, shelter residents gather to play chess with volunteers from the community.